Why corporate photography rates in London vary so much? 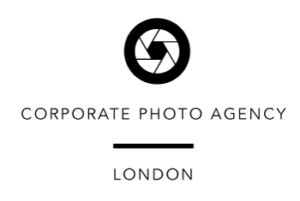 How do you work out your corporate photography rates in London? A question we often get asked by other photographers and we find it hard to give an answer. Not because we do not want to divulge this information as for many years we had it on our website, but you have to come to this decision based on your situation and many other factors that are involved in corporate photographers undertaking a commission. We have always quoted our rates which include the rights to all the headshots and corporate images with a full licence to use in any media over an unlimited period. Many other photographers retain control over their photographs and stipulate terms of usage and periods of licence. This is clearly another way to gain revenue and therefore these photographers could reduce their corporate photography rates and making their quotes more attractive at first glance. Another factor which comes into play is charging for post production. We include airbrushing and retouching with our headshot and corporate photographers rates but do put a limit on the number of photos included. Post production rates vary and the quality certainly can vary but when setting out their stalls photographers look at the complete service that is being offered to clients and corporate photography rates are not the only factor businesses take into account when choosing who they will use. We get a least four emails everyday (weekends included) from retouching companies in China and India. Prices are so low you wonder how they ever managed to afford the computer to do the work on. We do not outsource our post production and with all the data protection laws being tightened are very unlikely to do it in the near future. I do most of our headshot retouching and airbrushing and find it a real pleasure these days. In the past when I was working alone I found it a chore as I was always having to tag it on at the end of the day and clients would be needing their photographs the following day. These days I have block periods during the working day to complete corporate photography post production and have began to get better and better at it. I find the trick is to make sure you can not see that the headshots have been retouched. Subtle is the best word to describe our post production and people look better but not overworked or false in anyway. Our corporate photography rates are charged out by a combination of people and time. We can photograph X amount of people in X amount of time. So we structure our costs in hourly, half day and day rates all plus the good old VAT. Should you put your corporate photography rates on your website? A few photographers do and many do not. We used to display them but got feedback that we were either undercharging or being undercut. Several times we lost work due to people charging just a little less than us. Also I had a call once from a leading London corporate photographer who left a voicemail saying that we were not charging enough as they had picked up a job we could not attend and the client had told the photographer what we had quoted. I suppose at the end of the day it all boils down to what your costs are, against what profit you need to survive or prosper. Recently I have began looking at what other photographers charge and it varies greatly for the same sort of service. My research saw headshots in London studios for as little as £50 (not sure how that is possible with London rates) going up to £500 for a top London studio. It must work along the lines of the first studio doing 10 shoots a day and the top London studio doing the one per day as I can not believe they would be booked out at that price. But my point is they are making the same amount per day and that is why corporate photography rates can vary so widely in London. Please get in touch if you would like to discuss our corporate photography rates and different package options. https://www.corporatephotographerslondon.com/wp-content/uploads/2016/06/Corporate-London-Photographers-300x201.png 0 0 Editor https://www.corporatephotographerslondon.com/wp-content/uploads/2016/06/Corporate-London-Photographers-300x201.png Editor2018-06-05 10:03:052019-04-08 15:41:53How do you work out your corporate photography rates in London?